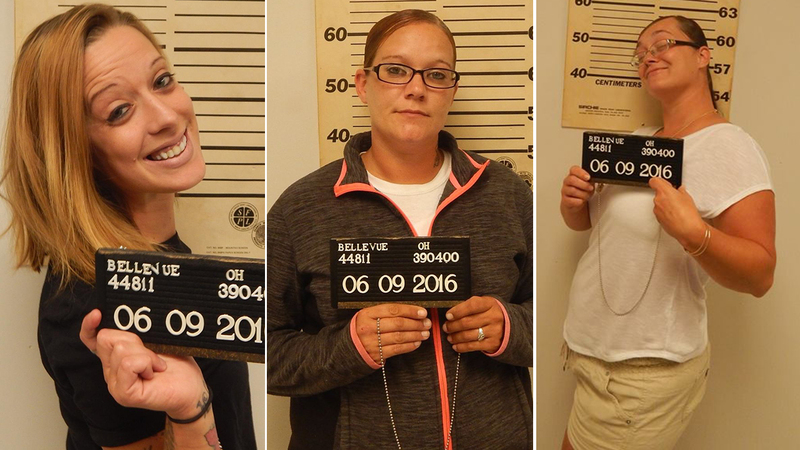 BELLEVUE, OH (KTRK) -- Three women were arrested after police say a McDonald's employee was assaulted for being too slow. It happened last week in Belllevue, Ohio. According to police there. Ashley England, Mary Jordan and Sammie Whaley were involved in the assault of the female employee in the parking lot. Police say employee was assaulted for working too slowly while dealing with the three women, along with their family and friends. On Thursday, the three women were arrested. England was charged with assault, theft and child endangerment. Jordan was charged with assault and child endangerment. Whaley was also charged with assault. Police say England and Jordan's child endangerment charges are because they had their children with them at the time. Whaley was also charged with assault.